A new railway station, hotel in Whittaker Street? Chief Minister Adam Giles is looking for expressions of interest to build a commercial complex in Whittaker Street that may include a new railway station. 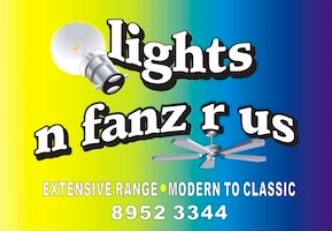 The block is on the western side of the Stuart Highway, opposite Harvey Norman and Repco. He describes the land as “a prime block of new commercial land in the heart of Alice Springs” and the project “is an exciting opportunity to breathe new life into Alice Springs, including a new railway station to bring tourists into the centre of town”. “This early vision includes a hotel and tourism precinct, residential accommodation, restaurants, commercial and retail space and even a planetarium,” says Mr Giles. “We are keen to hear what developers might be interested in this property and what ideas they have for this prime real estate. “We have an open mind about the form this project could ultimately take, but it certainly presents a chance to transform a key site right in the heart of Alice and I look forward to seeing what options are proposed. “The project is being led by the Territory Government but the parcel is made up of a combination of land owned by the Government and land owned by Genesee and Wyoming, along the rail corridor. “We want to work in partnership with the private sector to try and get this project off the ground. By collaborating with the adjacent land owner, Genesee and Wyoming, the development potential of the site is greatly enhanced,” says Mr Giles. Expressions of interest for this project open on Friday 12 December and are open “to both local and interstate developers with the capacity to deliver a project of this size”. The EOI will remain open for 10 weeks to allow time for the industry to respond. Assessment of submissions will begin immediately after and will involve Genesee and Wyoming Australia, says Mr Giles. No need to get anxious about this Maggie D (Posted December 18, 2014 at 11:39 pm). Most of these objections are not from people who own competing businesses; they are from long term residents from a variety of backgrounds, as are the members of the Heritage Committee. They have the wellbeing of the town – its residents and infrastructure – at heart. I don’t suppose that most of these objections are from people who own competing businesses by any chance? Alice Springs does have a reason for the railway hotel – the Ghan is very popular and offering tourists a reason to stay longer in Alice is a good idea. Melanka – visitors may well find new accommodation close to the CBD something they really want. Both buildings too high? For us yes, but most visitors are used to tall buildings, they are unlikely to be offended. 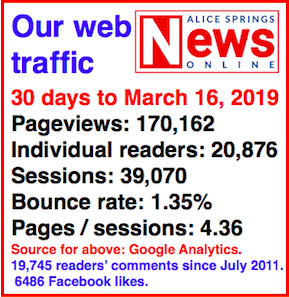 Thanks Raising Alice (Posted December 8, 2014 at 1:06 pm), but it’s a bit like being stuck inside an echo chamber whilst witnessing the latest Merlan practising his shonky “magic” tricks. Is Adam “Merlan” Giles trying to drive us all mad with this irresponsible nonsense? Or is it just his media advisor’s idea about how to divert our attention from the dictatorial way he arranged the treacherous sale of TIO, a move that will prove disastrous for many long term Territorians? Or is it some pathetically misjudged attempt to distract us from the fact that much of the tourism infrastructure we already had has been sold off for residential accommodation in recent years, or is failing to pay its own way, and has to be subsidised by the NTG? Think Convention Centre, Alice Plaza Museum, Araluen Arts Centre, Strehlow Centre. Now we are apparently meant to keep straight faces when presented with these crazy ideas put forward by the boy wonder. If these new projects went ahead they would almost certainly fail financially, or else lead to the demise of other businesses, such as other upmarket hotels. Instead of offering to subsidise these pipe dreams with gifts of prime land or other inducements, the land and resources should be kept to benefit the public purse in the future when they are really needed. If we have capital to put into infrastructure now, let’s build good all-weather roads to Papunya and Haasts Bluff and Utju instead, so the people who live there can get out to the doctor or dialysis when they need to do so, and at the same time allow more tourists to witness the grandeur of the Macdonnell Ranges and visit those unique and authentic communities and their world class art centres. And let us build a few childcare centres and trades training facilities in some of the remote communities which urgently need such facilities, and new houses to alleviate the catastrophic overcrowding being experienced by hundreds of family groups in Alice Springs and many remote towns. Continuing on, the population is not big enough and won’t ever be. Tourism should be the focus and looking to get that back on track. Promotion of the MacDonnell Ranges doesn’t exist any more. The town relies on blackfella money, unfortunately. I would love to see the Alice grow but really the chances are very low. So any money should be used for better options. I think this government is getting too far in front of themselves. There is no reason for us to build. The train is not used enough for this development to be viable. Steve, I like your enthusiasm but Alice will not be like you are wanting it to be. ‘Build it and they will come!’ Indeed, Bob Durnan. Steve’s dictum might work for baseball fields in movies, but in reality developers will consider opportunity cost to see where they will get the best bang for their buck. And it is more likely to be in Darwin or other boom centres rather than The Alice. ‘Build it and they will come’ belongs alongside ‘The rain follows the plough’ as a misconception of geographical principles. @ Bob Durnan: Finally Bob you are seeing the vision! Well done, nearly puts the Chief Minister’s to shame as being way too small. Now he won’t even need to consult with the public, he can just take some of your ideas and run with them, there are sure to be some gassy investors willing to buy a piece of Alice to ensure a pipeline happens. I have a plan: my vision is for a replica of the Parthenon as a revolving restaurant, on the top of Anzac Hill, serviced by a genuine San Francisco cable trolley system, taking off from a mini-Caesar’s Palace Pokie Machine Shrine on the roof of the Alice Plaza above where Papa Luigi’s café used to be. The Parthenon Restaurant would overlook a scale model, ten star Taj Mahal Hotel on Anzac Oval, and a ferry across the Todd to a rebuild of the Hamburg red light district of the sixties, in between Warburton and Renner streets. The Parthenon Restaurant would have fine views of both the Melanka Wanka Apartments and Adam’s Grand Railway Folly on the corner of Whittaker and Telegraph. The top two floors of both of these highly erect buildings will be reserved for the entrepreneurial usage of visiting working girls, apart from one room on the top floor of each which will be reserved for the exclusive use of Chief Ministers and their mates. Love the concept! Breathe new life into Alice, all of us who live here, must be old life 🙁 , bring tourists into the centre of Alice! Now the train will go right up Parsons Street. Fantastic I will be able to park my car at the new complex, better than trying to find a car park in the CBD, and then catch the train into the mall … wooohhooo … toottoot … and Railway Tce will become a real Railway Tce again. Oh wait, the graphic shows people walking around, hmmmm taking more people from the CBD, not a good idea … yes it is! Can’t wait for all the greenery as per graphic! And the public buses servicing the area and the antennas on the building, must be so the Chief Minister can relocate and keep an eye and ear on all of Alice Springs, not a bad idea really, as they seem to know what is best for Alice, really looking forward to the huge breath of fresh air, therefore replacing all the old air that is here. What is it with developers and tall structures? The Melanka thing and now this. OK, Alice needs a welcoming entrance statement but surely a shady, welcoming, low energy development that shows we are not a backwater of denial is more in keeping. Desert dwellers in tune with our arid environment, carefully conserving water, cleverly using plants to provide amenity and comfort, rejoicing in the local culture white and indigenous. 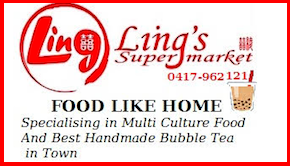 I have often thought it would be great to see small retail shops like fruit and veg, Asian grocers, Afghan traders, bakers, chemist, IGA all in the one location. This could be the location if done in a sensitive way, less concrete and glass and more materials that perform better in our climate, informal and earthy. Add some cafes and maybe a rooftop music venue. Maybe some accomodation could be involved but who is doing the business plan for this? Would not think we are desperate for either permanent or motel accomodation. We need a realistic strategic plan rather than floating these somewhat random proposals that promise (and cost) the earth. I have to say its a good thing we have wasted millions here already, a few more dollars won’t hurt. Just look at the wonderful new mall. More people go to Darwin by plane than train. The train is far too expensive and slow. Tourists will use the train, but do we know what the average numbers over the last years have been on its useage to warrant such extravaganza? Let’s build something that suits Alice. With Virgin airlines coming in March more people will fly than use the train. Steve, what happened to the transit centre on Hartley Street at the back of the Ford Plaza [sic] where the Targer water tanks are now? They built it in the days when there WERE tourists, but clearly it wasn’t viable, surely it would be worse now. @ Editor, and possibly Alex Nelson, who may well have the answers. In relation to previous government investments in ambitious projects in the Territory, could we have some analysis please on the continuing costs to the taxpayer of the casinos, the former Sheratons, Yulara, the convention centres and the Darwin waterfront? How much government money went in? How much was returned when the assets were sold? How much is the NT taxpayer still paying out to cover the losses? Is it true that my unborn grandchildren will still be paying out on the loans when they grow up to be taxpayers? Without such analysis, what confidence can we have that those of us who stay here will actually benefit from government investment in these kinds of projects, unlike the fly-by-night pollies (of both persuasions) and developers of the 70s and 80s who have taken their money and run away to the seaside? Let’s have some facts please to inform the debate. To attract people, be it tourists or residents, Alice has to offer something – be it jobs (that has been the main attraction for the last decade), be it uniquness in livestyle (which we are loosing more and more since the aim to move foreward seems to be to be just like any other town in Australia) or other opportunities. To create adequate infrastructure we should first decide what our aims are for development – like I said, do we want to develop our uniqueness, or do we want to be like every other town? To be like everybody, we see at the moment the result, empty units, empty shops, low wages, high prices, tourists numbers down, just to name a few things. Instead of more towers, why not a cultural centre, why not an attractive railway station? I am all for this great town moving forward, and maybe a project like this if it gets the investors, and the right design to suit the Alice could help do this. The image example certainly looks like a building from the Darwin CBD. My main concern with this proposal and the Melanka proposal, is where is the demand coming from or where will it come from? Both projects talk about hotels, apartments, restuarants, retail outlets and so on. What are we not being told by this government? Any small business operator in town can tell you how tough it has been in recent times, if the demand was there for the hotel beds, then why have so many hotel / motel beds been sold off or converted to apartments? Projects like this will give a short term shot in the arm to the economy during construction, and then they will compete with already struggling businesses. Having said that, if there is an extra 1500 to 2000 people moving to town for some big project or projects that we don’t know about, then the demand will almost certainly be there. Whatever happened to the revolving restaurant and cable car on Mt Gillen? Surely that is still a goer? I doubt I am the only one in the community waiting on the NT Government to release Dr Hawke’s report on fracking. Hopefully it will explain the difference between the tight gas fracking and the coal seam gas fracking you mention. Which would be used here, and how will or won’t the use of it effect our aquifers? I sense a critical mass building in Alice Springs around all this hovering potential development. I sense excitement and a hope that this time it will be more than just more talk. The alternative seems to be a fairly desperate status quo in which the only developments of note are a new court house, a new cop shop and a new municipal tip. So when you’re ready, Mr. Giles. Allay our quite legitimate concerns for our water security, and the majority of the town will be behind you. @ Steve Brown. Whatever. Yawn. Having said what I just said. That render makes the development look too big and bulky for the site. Any development on that site should reflect the landscape with colours and architectual features. 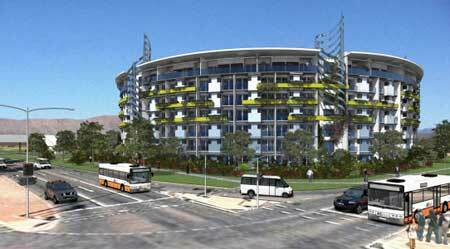 Alice Springs should not get a huge curved boxed development with some balconies. The architecture should not reflect what is getting built all over Darwin. It just does not look right in a predominately flat area with only natural heights (hills). Excellent idea for a hotel and commercial venture for that part of town. About time that empty lot has some thing useful proposed on it. The train station should empty out on it and not via the industrial frontages in the current area it is in. Alice deserves a proper entry statement to the visitors coming in on the train and from driving from the north or south. Height of the building might be a little too tall but if it means more affordable accomodation and a revitalised area for the western precinct then I’d say go for it. There is nothing wrong with putting in units in an industrial / commercial area. It is actually a good idea. The whole town needs revitalisation and it simply is not worth putting in just more cafes and shops etc all over the place without other land uses. The town probably has a lot of issues due to no one being around town after the bulk of shops and services close in the evenings. If more people are living and not just working in the CBD then the town should have fewer issues. Of course there may be more issues like parking involved but if buses are used for day to day events and people can do more walking then cars can be left for occasional use. As for the heigh of this development, the town people should vote on it. People need to remember though a developer won’t build anything though if they can’t make some kind of profit from it. If a six story will bring more benefits to town than negatives then it should be built. If not then thought needs to be acted on now. As once all these new developments get up off the ground they will be there for a long time to look at. “Gees” Sean, what’s your idea of commenting, just a way of sharing your misery? 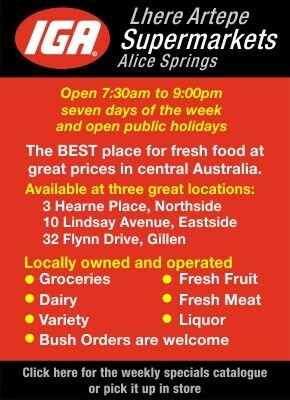 If your so down on Alice and its future do us all a favor and do the proverbial wont you! This is simply a concept! Someone putting up an idea hoping to capture the imagination of a potential investor, lets hope that it does! Our town and our kids need the work the future prospects that such a project will bring. Why not a Grand Railway Station possibly also incorporating a transit center? Let’s face it Alice has never offered the kind of facilities that visitors coming to our town by rail or bus should, and do, expect. We have been quite content to dump visitors in the middle of an industrial area with no connection to the town center! Bloody wonderful customer relations, don’t you think! And Melanie, you build facilities then come the tourists, not the other way round. “Build it and they will come” as for the other narcs and conspiracy theorists, what is your concept? Where are your great ideas? Oh, your’e just content to sit back and make sarcastic remarks because. You are quite bereft of any ideas of your own. Your only concept of future completely reliant on government handout. Wake up all, those days are rapidly coming to and end, our town requires ASAP vigorous free enterprise to replace what has become a lethargic, stifling, dependency on government. So get used to exercising your minds, considering grand concepts as long as its someone else’s money facing the risk what’s your worry, the view? Well what about the magnificent views to be had from the higher floors of these various building concepts? Personally I can’t wait to put my feet up on the rails of the Star Bar in the Melanka Project. What a view! And what a way to take it in! @ Hal: Gas development is only part of the story for up coming growth in Alice. We are about to burst on all fronts. And while I agree that there are concerns around “Fracking” there are no concerns around the kind of fracking we are talking about, [under] a good regulatory authority. It is really important to understand that the “tight gas” fracking that has been undertaken in the region for the past 40 years is very different from the “Coal seam gas fracking” that is causing all the concern in the southern states. While there is no denying a certain level of risk, that risk can be mitigated or engineered out to a large degree because the fracking being undertaken here is at a depth up to two thousand meters deeper than the water table whereas coal seam gas fracking is quite often within the water table. In fact water often has to be pumped out so that fracking can be undertaken. Should any attempts be made to undertake that kind of fracking here, I’ll be standing right alongside Jimmy Cocking in expressing my concern. However, in the meantime I don’t believe there is any reason to fear what should be another huge opportunity for our region, creating wealth, jobs and futures for our children. We need a lake so we can go fishing. I’m against it. Will obscure The Gap from vision if I have to drop in and get something from Repco. A new railway station? Is that what he wants to spend our TIO dollars on? Where’s the proof there’s the demand and potential growth in rail passengers to support a new station and a new hotel? Adam seems dead set on trying to get Alice Springs to look a lot like the Darwin CBD – bloody ugly. Let’s get a development that suits our town, not some hideous on the cheap high rise. Some may remember the open amphitheatre at the Alice Springs Casino, constructed with the original complex operated by Federals Hotels from 1981. The amphitheatre was intended for outdoor concerts but over time fell into disuse. I used to envisage this amphitheatre being covered by a geodesic dome and converting it into a planetarium. But hey, what do I know? In the late 1990s the NT Government (CLP) forked out millions of dollars to construct the Alice Springs Convention Centre on that same site. And now the current Chief Minister (with whom, incidentally, I share the same birthday – I’m exactly a decade older) is now suggesting building a planetarium … sigh. I have been wondering when this would happen. A prime block of land in the heart of Alice, it’s on the highway and the current train station is right out of the way. Go for it. A new court house, a new police station, the Melanka site, the Brown family’s Whitegums, flats both sides of Heavitree Gap and now Whittaker St – if all this comes off, Alice could be on her way to a prosperous future instead of languishing in her current slough of dependant despondency. But I do wonder what the Giles government is not telling us. Fracking for gas is my suspicion, and this could be the Achilles heel of all this development. The Chief Minister is reportedly sitting on a report into fracking while dealing behind closed doors. This is much too similar to the lead up to the sale of TIO for my liking. Fears for water safety have seen it banned in parts of Europe, it’s trashed aquifers in California and here we are totally reliant on aquifers for our present and future water supply. Since I can’t see any other economic engine driving all this new development (court house and police station excepted), I wonder if it will come off. And therein lies problem. What’s to stop it? 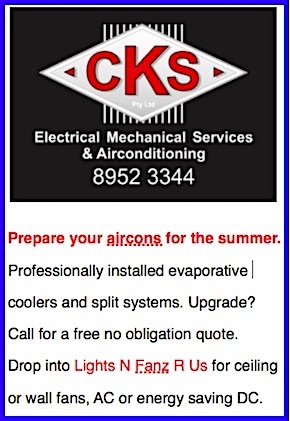 Not just the east coast but all the world is energy hungry, we’re told the NT has recoverable gas reserves, there’s a free trade agreement with an investor protection clause looming and the more I see of our Federal Government, the more I’m reminded of the old music logo, His Master’s Voice. The NT Government is not much different, and just to remain bipartisan, nowhere do I see the ALP prepared to go against the rush to corporatize. More smoke and mirrors with government land, Giles. Bunnings wasn’t allowed to have the land but you have another twinkle-eyed “vision” for another tower of units, just like Darwin. Will this be before or after Melanka? All these “great ideas” without credible feasability. What’s your next big idea, the government land near the south end Stuart Highway turn off to Adelaide, near the airport? What should we have there? I look forward to the next Adam Giles Press Release of Visions! I note the whole story is “about you” – what happened to the Lands Minister? Is he starting to realise you have no substance? Or is it you, trying to convince us in Alice you’re doing something? Keep trying.